Illusion is the first of all pleasures ai??i?? Oscar Wilde. As the latest FIFA rankings were released past week, there was an avalanche of notifications flying all around the social world regarding India’s ranking. The notification of India being at the second place in the list of highest jumpers in the rankings after Afghanistan. 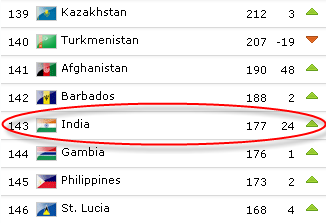 So, India gained a massive 24 positions in the rankings. But this came as a huge surprise to the Indian football followers, especially after a listless performance in the recently concluded AFC Challenge qualifiers in Myanmar. The FIFA ranking system is no less than rocket science for many of the pundits trying to understand the methodology used in the formulas for the calculations. Albeit there has been a sudden surge in the rankings, Indian football isnai??i? ?t blossoming as this event would suggest. Purists would debate that these are testing times for Indian football. Here are some of the reason why it is a time to stay focused ai??i?? The Awesome Performances after the defeat to Palestine. India had won the AFC Challenge cup in 2008 to earn a direct entry into the Asia Cup. The forthcoming edition of Challenge cup will be played out in Maldives and as India prepared for the qualifiers, it was a straight forward task for Wim Koevermansai??i?? team as they had Chinese Taipei, Guam and hosts Myanmar in their group. 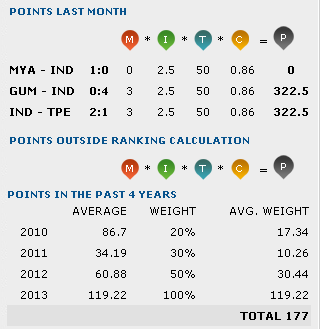 As it stands, India finished second in the group losing the final group game to Myanmar.Ai? ?The campaign was marred by aAi? ?series of dubiousAi? ?selections, with Nabi rested and in-form winger Vineeth not getting enough time on the pitch. The Dutch coach’s tactics were put under scrutiny by a number of Indian football fans. Eventually, India got what they deserved, which is depending on other results to get into the mix for the Maldives carnival. This is something which should be the team’s and fan’s focal concern. With an eye to ai???improveai??i?? the standard of the league, AIFF has come up with a solution of inviting nominations for two new teams in the league. The driving force behind this move was that most of the clubs in India do not fulfill the minimum Club Licensing Criteria which is quintessential for infrastructure to improve and youth development. 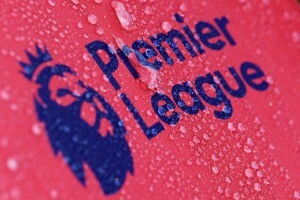 At the moment, the situation is very grim and bleak for most of the clubs,Ai? ?since in some placesAi? ?we have as many as four clubs sharing the same ground. So when we have a league which is still getting stable, and is still not ai???recognizedai??i?? in the whole country we should not get over the top with the rankings. No doubt, it has been a breakthrough initiative by the AIFF and will eventually help the other clubs grow as well, but it is the time to stay focused and deliver. The sheerAi? ?ignorance shown by state football authorities and AIFF towards fans and their feelings is well documented. The recent development around the leasing of Yuba Bharati Krirangan for the inauguration of 2013 edition of Indian Premier League has led to many debates. Few days ago Mohun Bagan general secretary had expressed his doubts over the pitch conditions and the basic amenities like drinking water, clean galleries, hygienically sound washrooms etc. Itai??i? ?s no secret that YBK is very vital to all the plans in Indian football. But recently we have had teams refusing to play at the humongous stadium due to its artificial turf fearing injuries. The turf is not properly maintained, neither are the stadium premises. One might tend to wonder why did the Indian football teams ranking fall after a Nehru Cup win at home and heaved by 24 places after losing to Myanmar away? The reason is similar to why England is placed above Italy in the rankings despite the latterAi? ?reaching the final of Euro last year. There are many uncertainties around the algorithm, which keeps into account the vitality of the match, the confederation, the last three yearsai??i?? performance with a certain depreciating percentage for every year as they go by. Keeping all this mind, the rankings are expected to come down again for the Blue Tigers as the team is unlikely to participate in the AFC Challenge Cup in Maldives next year. Duly noting down all the above points, these are the problems in our system which need to be taken care of. Rankings are just an illusion and would automatically improve if the federation and state authorities take care about the aforementioned points. These are testing times for Indian football with good players coming up and young talentsAi? ?taking up the game. Right path and right guidance is the call of the hour, a self-sustainable career is the demand. The question is ai?? ?Are we on the right track?’ . The rankings tell a different story.